Whether you’re a new company, existing company wanting a brand new online presence, or an individual wanting to get yourself online, Geek-A-Roo is here to help. We pride ourselves on creating websites that are not only accessible, but extremely eye catching and inviting. With over 15 years building and managing websites, we know what it takes to be successful online, and we’re constantly pouring the very latest technologies into all projects we work with. We can design and manage a fully customized website, that get’s customer’s attention. We offer a complete web service, from registering your domain, to hosting your site, to ensuring your site is backed up, we can do it all. And what makes Geek-A-Roo different from our competitors? We offer a unique and highly attractive pay-monthly service. This is different because typically web companies will charge you an arm and a leg to build you a website, then charge you a huge fee just to make a simple change once you’re online. Then on top of all that, leave you to pay for the hosting and domain fees, which can be huge! For most people, this is extremely frustrating, why should you pay $50 just to get one word changed on a website? The good news is at Geek-A-Roo, we couldn’t agree more! Registering your .com, .net, .biz or .org domain name, and taking care of the web hosting. Meeting with you in person, to work out exactly what you want, and how you want the site to look. Building a fully customized, powerful, and attractive web site. Don’t be restricted by templates, and limited capabilities other companies offer! Making up to 3 hours per month service to your web site to suit your needs. Submitting your site to all major search engines (Google, Yahoo and Bing!). Creating as many email addresses that you and your company require (you@yourdomain.com). Ensuring your web site is backed up and secured in case the unexpected occurs with daily file and database backups to our local Geek-A-Roo servers. Don’t forget to look out our portfolio where you can find our ever growing list of web sites powered and supported by Geek-A-Roo. So forget about the hassle of looking after your online presence, for one monthly charge, we’ll take care of it all, guaranteed. 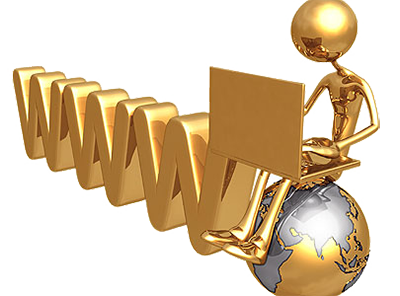 However if that’s not to your liking, we also offer pay-once website services, which includes 1 year domain registration and web hosting and a 30 day tune-up period and unlimited consultation prior to launch date. You can find all of our rates for our web site services and more at our rates page. So contact us today or call us on (406) 382-0196 to discuss your needs, and let Geek-A-Roo send your online presence to the next level.